Lake Zurich with Mountains in Mist, Switzerland. 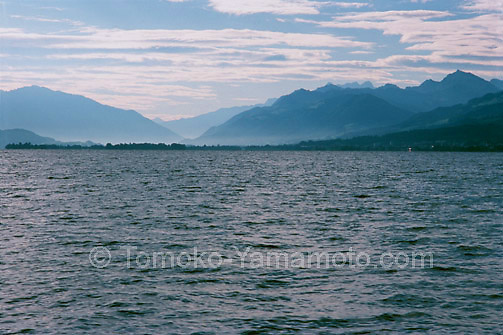 view of mountains from a commuter ferry across Lake Zurich in Switzerland. Layers of clouds against a blue sky above the mountains at the east end of Lake Zurich are contrasted with low-lying mist which hovers around the mountains.